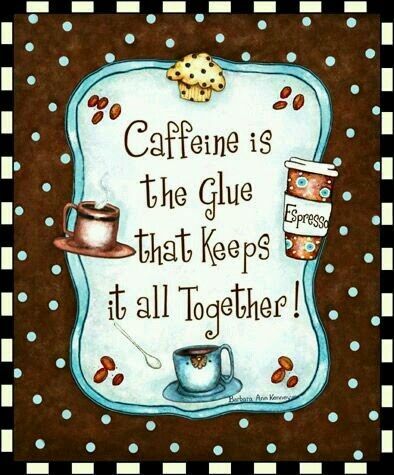 If you follow my Facebook page you know I start every day with a love of coffee. Christmas coffee love is even more cherished by me as I get my days going and prepare for the season. 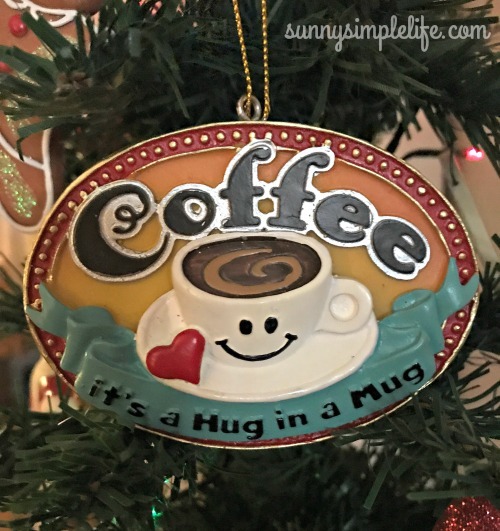 This coffee lovers Christmas ornament was found at Hobby Lobby. I had to have it. It is my ornament purchase of the year. I always buy one for myself. I have a small collection of vintage Thermos and this tin with vintage Thermos images has to come home with me. Dean put a small tree with peppermint lights on it. An I love coffee Christmas tradition is some sort of hot drink station in the kitchen. We have done large and small. Check out our best hot drink tray idea. 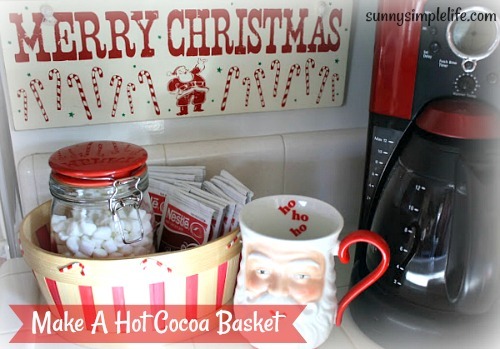 Even a simple basket of hot cocoa near the coffee maker is fun and lets the kids get involved in the holiday drink making. 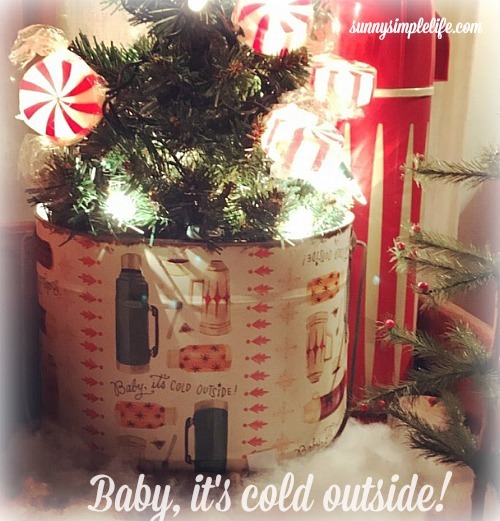 I did a whole post on hot cocoa station ideas. Christmas for lovers of coffee is made even better with a fun Santa mug. Check out my knock off recipe for Starbucks peppermint white mocha. It is so yummy! Perfect ornament! I feel the same way. 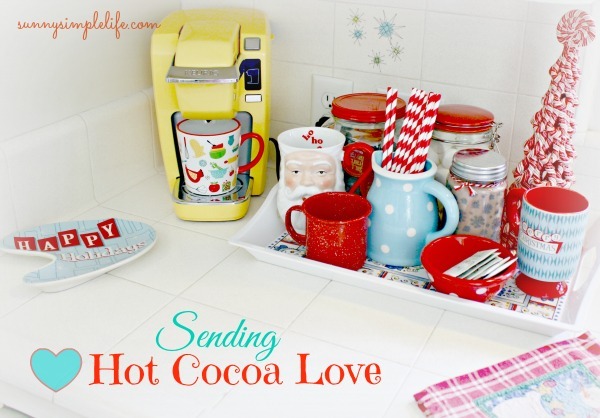 Loved your little Hot cocoa station! I did a little coffee corner this year for the first time. 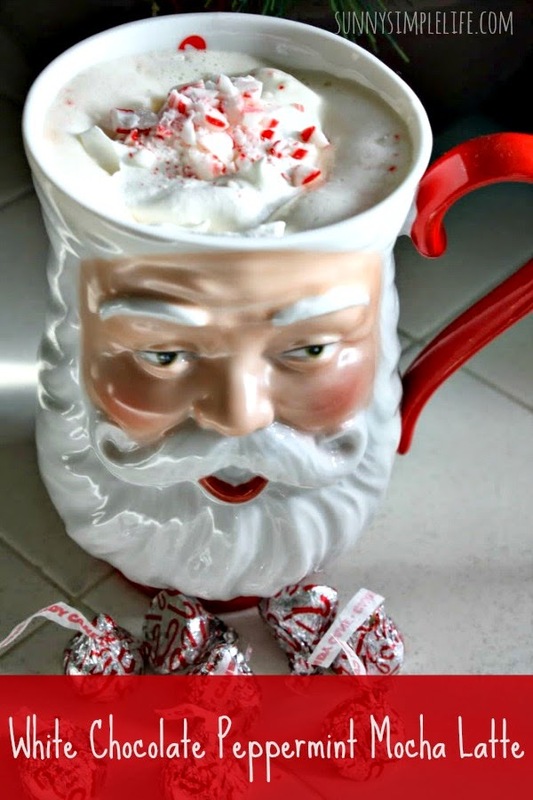 I love that Santa mug, he looks like a vintage find!! Love the ornament, and I really love that corner of your kitchen with the Keurig. I love seeing your atomic tiles, too! Very cute! I love the colors in your cocoa setting.